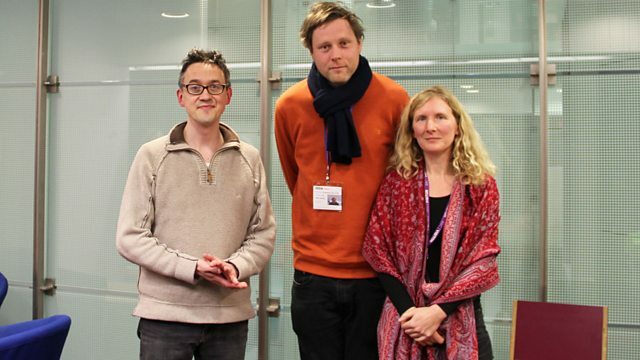 Authors Max Porter, Samantha Harvey & AK Benjamin discuss empathy and its role in writing with Chris Harding. Authors Max Porter, Samantha Harvey and Alisdair Benjamin discuss empathy and the role it plays in writing and reading. How does it work? Is it the same in fiction and non-fiction? And how is it faring in a world where data sometimes seems to have replaced feeling. Chris Harding talks to all three about their latest books, Lanny, Let Me Not be Mad and the Western Wind in his search for answers. Let Me Not Be Mad by the neuropsychologist AK Benjamin is out now. Samantha Harvey's latest novel The Western Wind - set in a C15th Somerset village - is now out in paperback. Her previous books include The Wilderness - which depicts an architect suffering from Alzheimers who is attempting to order his memories.